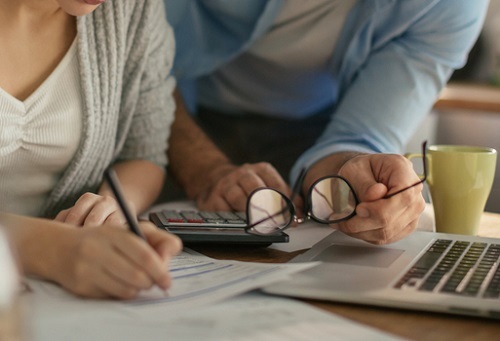 Underscoring the major role that real estate now plays in the lives of Canadians, a case study of an Ontario couple provides a look at how mitigating mortgage costs can help pave the path towards a comfortable retirement. In an analysis for the Financial Post, personal finance writer Andrew Allentuck wrote about a couple named “Sam” (45 years old) and “Tess” (42 years old), earning $8,654 a month while raising two children (ages 3 and 5). Analysis of the couple’s savings, taking into account the $488 in non-taxable Canada Child Benefit monthly cheques that they receive as well as their $9,000 in total after-tax monthly income, brings their stash to $21,800 per year along with an extra $9,000 in other savings annually. “Their present payments of $1,645 a month for their 25-year mortgage with a present interest rate of 2.94 per cent will cost them about $116,000 in interest payments over the term of the loan. That’s assuming that interest rates do not rise,” Allentuck explained. All of these factors afford the couple the flexibility to adapt their strategy as needed, as well as possess a considerable post-employment cushion considering CPP benefits and Old Age Security, Allentuck stated.